The Mid-Atlantic Lyceum was started in 2011 in order to address issues in neglected fields of law, with a focus on animal law. The Lyceum also addresses disability issues specifically, issues affecting disabled individuals and service animals in general and in daily life. In late October the Lyceum will announce a series of animal law forums that will take place throughout 2015. For example, the Lyceum hopes to launch a forum focusing on promoting health for both domestic animals and their human companions. The Lyceum is also currently in the process of setting up a Yelp-like review system that will be named Paws and Claws which will track access of places of public accommodations for the disabled and their service animals. The Mid-Atlantic Lyceum started the Mid-Atlantic Journal on Law and Public Policy which follows in the footsteps of the Lyceum. The journal focuses on animal law, and addresses other current social issues. Members of the journal‘s editorial team include law students and practicing attorneys and the articles consist of comments by attorneys and experts as well as student notes and editorials. The journal recently published its second edition in 2014 and is gearing up for its third edition which will be published in 2015. One of the articles that will be within the 2015 edition will be a comment on the progression of the field of animal law. Attorneys and experts with various backgrounds within the animal law community will be interviewed for the article. 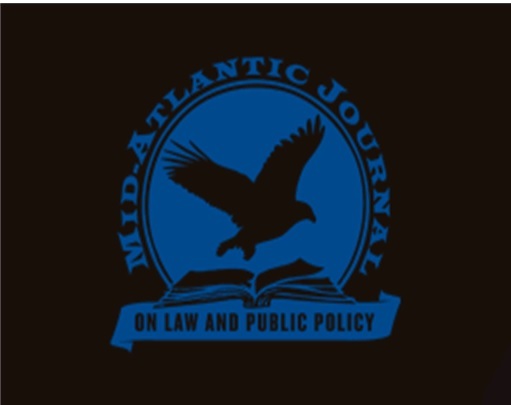 For those interested in the Mid-Atlantic Lyceum, or the Mid-Atlantic Journal, additional information is available on the journal and lyceum websites: http://midatlanticjournal.blogspot.com and http://www.midatlanticlyceum.com. The journal is available on-line on the journal website as well as Westlaw. The Lyceum and Journal are sponsored by the Maryland Bar Association’s Animal Law Section.